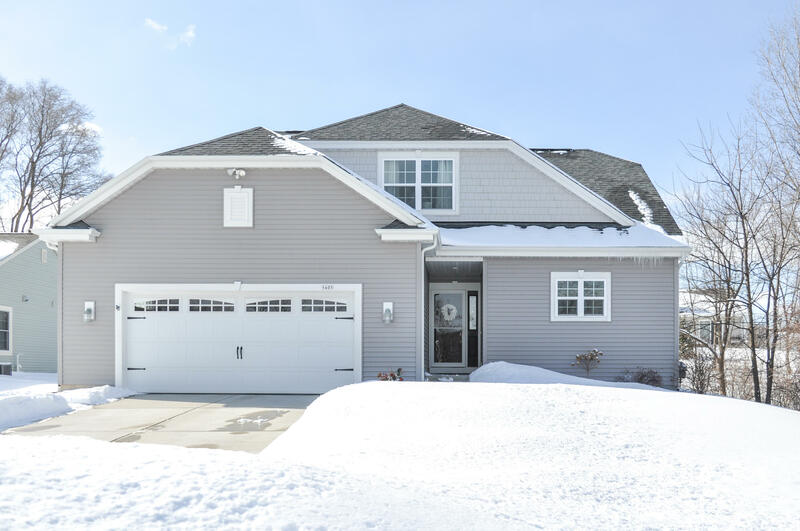 EXCELLENT Opportunity to Own this fantastic 4 Bedroom 2.5 Bath Home on cul-de-sac! This bright & airy open-concept home features large Kitchen with upgraded granite counters, breakfast bar, stainless steel appliances & walk-in pantry. Kitchen overlooks the Dining space and Living Room w/patio doors leading to the stamped concrete patio - a perfect spot for entertaining. Main floor Master Bedroom with walk-in closet & ensuite w/floor-to-ceiling tiled shower. Laundry and half bath complete the main floor. Upstairs, find spacious full bath & 3 generous sized bedrooms all with walk-in closets. Lower Level awaits your finishing ideas and is plumbed for another bath. Exterior is beautifully landscaped w/low maintenance rock beds and arborvitaes for privacy. Truly a stunning home!